Running these steps manually takes time, so an automation tool seems like an obvious choice. Unfortunately, most of contemporary CI/CD software provide nothing more than infrastructure in which you have to manually configure the process anyway: spend hours reading the documentation, writing scripts, testing the outcome, and maintaining it later on. Ain't nobody got time for that! This is why we created Buddy: to simplify deployment to the absolute minimum by creating a robust tool whose UI/UX allows you configure the whole process in 15 minutes. This is a delivery pipeline in Buddy. You select the action that you need, configure the details, and put it down in place—just like you're building a house of bricks. No scripting, no documentation, no nothing. 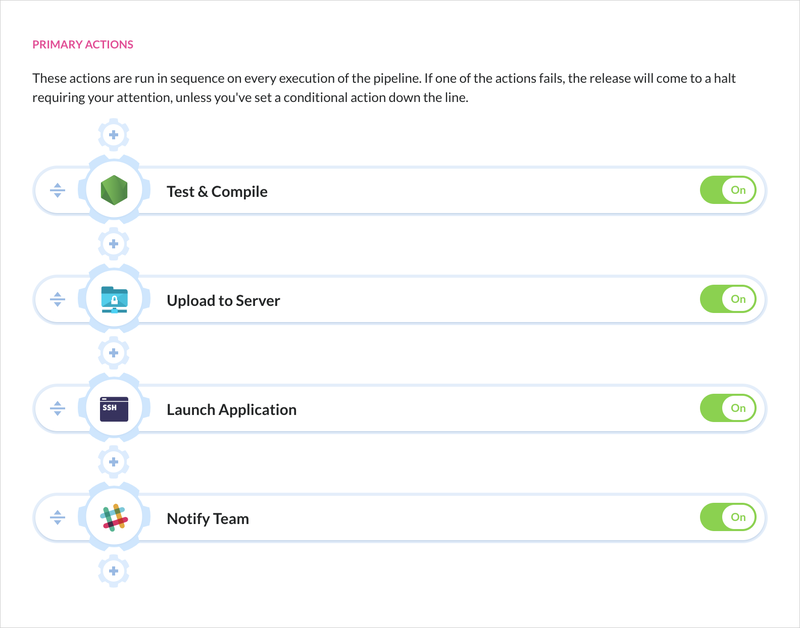 Currently, Buddy supports over 100 actions: builds, tests, deployments, notifications, DevOps tools & many more. 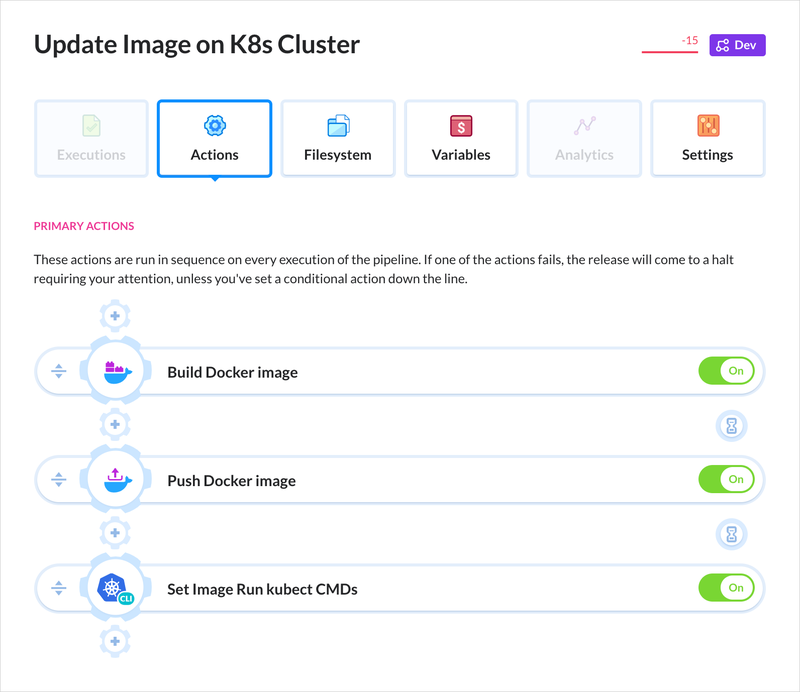 Buddy's deployments are based on changesets which means only changed files are deployed – there's no need to upload the whole repository every time. Builds are run in isolated containers with a preconfigured dev environment. Dependencies and packages are downloaded on the first execution and cached in the container, which massively improves build performance. 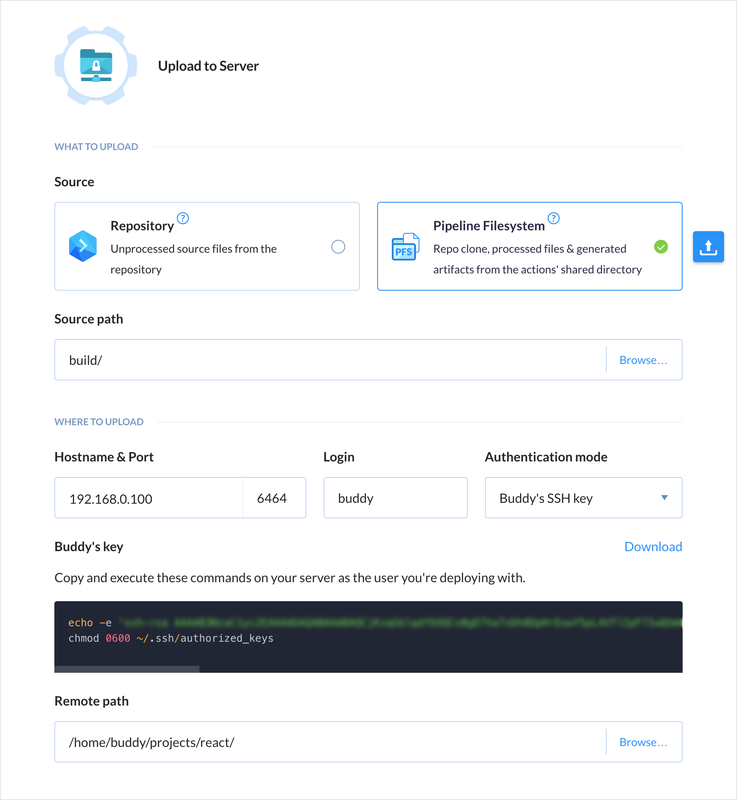 Being a Docker-based tool itself, Buddy helps developers embrace the power of containers with a dedicated roster of Docker actions. 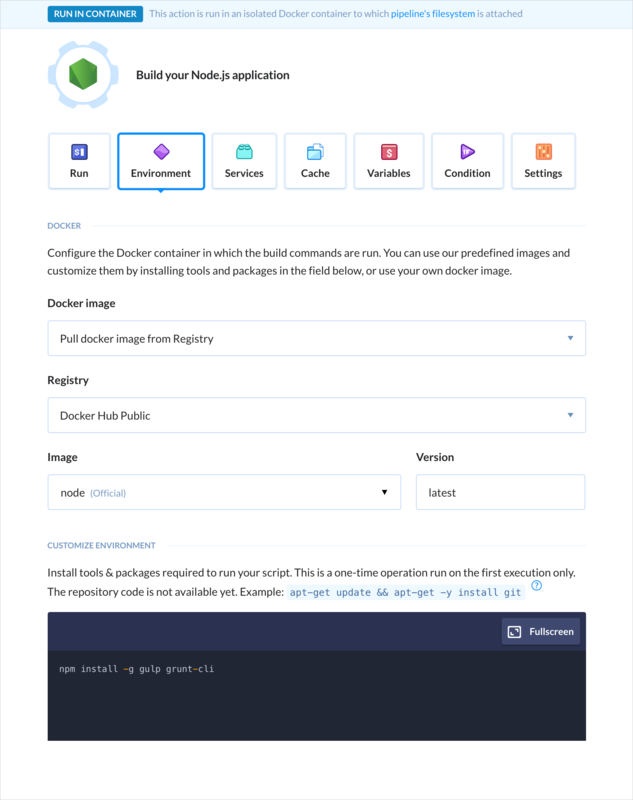 You can build custom images and use them in your builds, run dockerized apps on a remote, and easily orchestrate containers on a Kubernetes cluster. 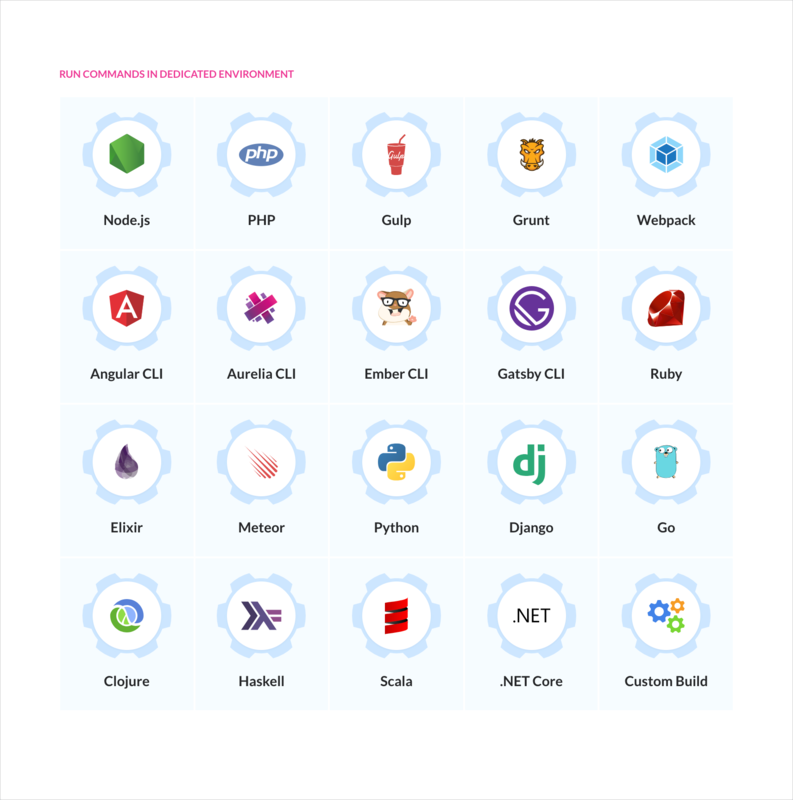 Buddy has dedicated integrations with Google GKE, Amazon EKS, and Azure AKS. You can also push and images to and from private registries. Sign up to Buddy now and get 5 projects forever free when your trial is over. The process is simple: click the button below, hook up your GitHub, Bitbucket or GitLab repository (or any other), and let Buddy carry you on from there. See you onboard!